with active VideoKeeper™. A free companion app lets you sync your device and download video and photos to your smartphone through a built-in Wi-Fi® connection. And with the press of a button, share your treasured picks via social media or email. Incident footage is saved upon impact, even when parked, so you can replay it any time you need to. Detach the camera from the mount to take additional snapshots. Videos and photos are time-stamped and geo-tagged so you know exactly where and when the incident took place. Tap the flashback button to capture and save footage, as well as one to three minutes prior to your recording, so you won’t miss a thing. Videos made with flashback are automatically saved to the camera, and sync to the app when connected to Wi-Fi. 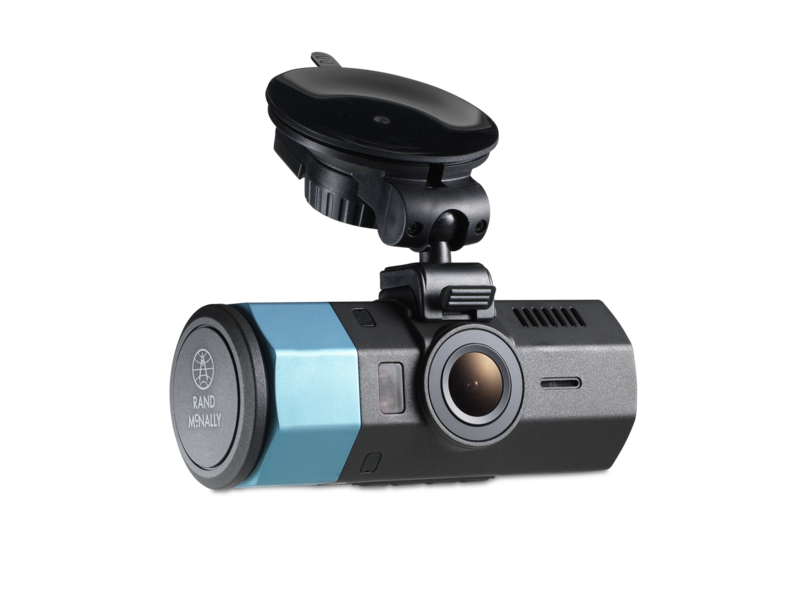 The Dash Cam 500 companion app, available for Android and iOS, syncs saved footage from your camera to your phone. Use the app to view, sort, and organize your video and photo content into albums. Post your videos and photos to social media directly from your phone, or share via text or email. See when and where a video was captured on map. The mount's built-in GPS provides location information so you can look back and know exactly where you were. 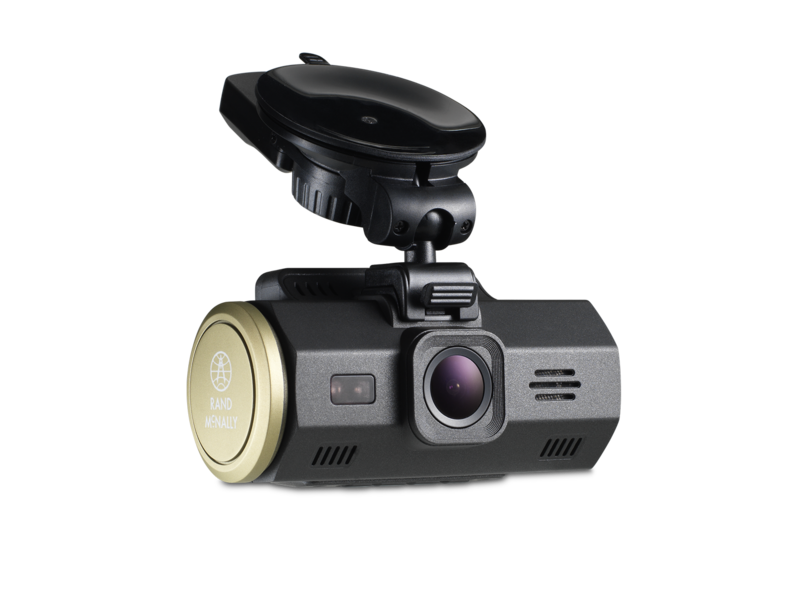 Product dimensions: 3.44" x 2.1" x 1.16"
Packaging dimensions: 6.5" x 4” x 4.75"
Our most advanced dash cam, the Dash Cam 300 features super HD video, lane departure and collision warnings, and a 2" screen. 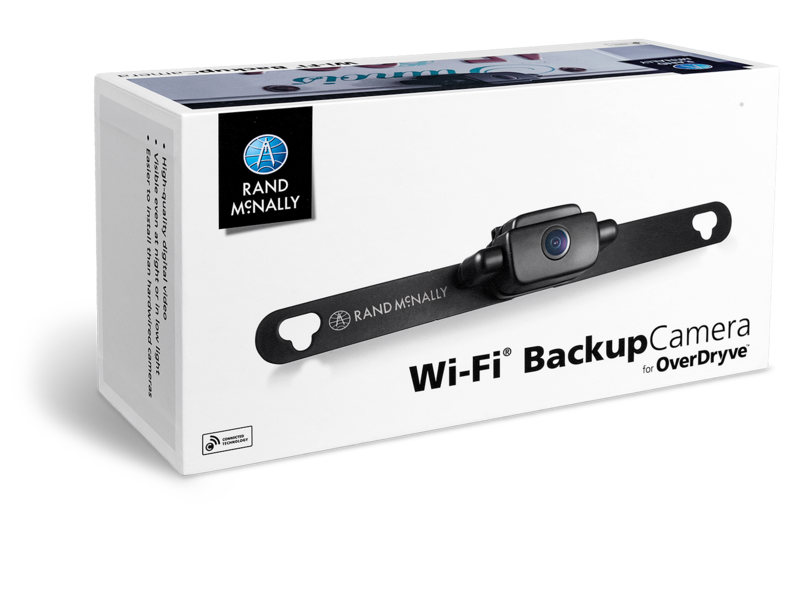 The Rand McNally Wi-Fi Backup Camera works with your smartphone or OverDryve 7/7C to give a full-screen picture of what’s behind your vehicle. Just download the backup camera app to your device, install the camera, and go. The camera attaches simply via the license plate bracket. A Wi-Fi transmitter with antenna sends the image to the device screen via the app. The image shows automatically on the screen when the vehicle is in reverse. Camera simply attached to your car's license plate bracket for easier installation than hard-wired cameras. Wi-Fi transmitter with antenna sends image to your device screen via the user-friendly app. High-quality digital video displays on your smartphone or OverDryve. Get a clear picture of what's behind your vehicle, day or night. Works with Android and iOS devices, and with Rand McNally OverDryve 7 and OverDryve 7C. The Rand McNally Tire Pressure Monitoring System alows you to monitor tire pressure and temperature through a user-friendly smart phone app. The wireless system helps with tire safety and efficiency. Works with most Android and iOS devices, and with OverDryve 7/7C. 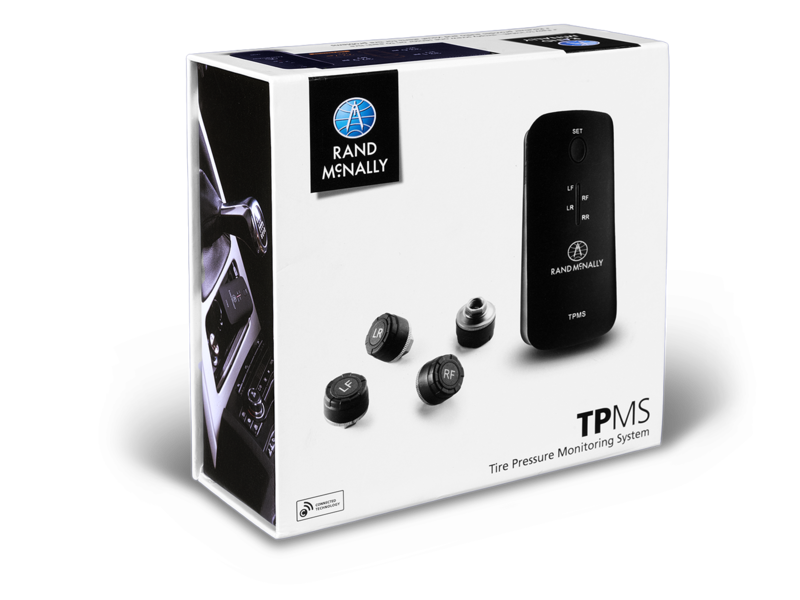 The small rechargeable TPMS receiver, which can be placed inside the car, provides an audible alert if there is an issue. The app—which is available for Android and iOS devices, as well as for OverDryve 7/7C—provides specific visual information, such as exact tire pressure and air temperature.